I love these guys! 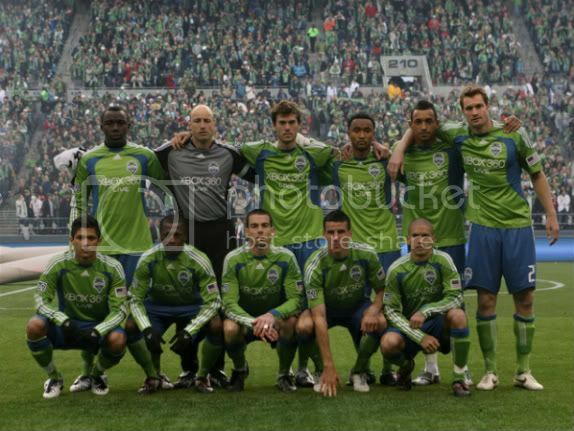 *weeps* I predict a ton of Kasey Keller and Fredy Montero shirts will be sold this week. Now I'm on the hunt for good yarn in Sounders FC colors, I'll post my findings later. Yes, please do post your findings. I'd love to find some Sounders yarn!